One trend Class Central has been keeping tabs on in the MOOC and online learning space is the rise of microcredentials. 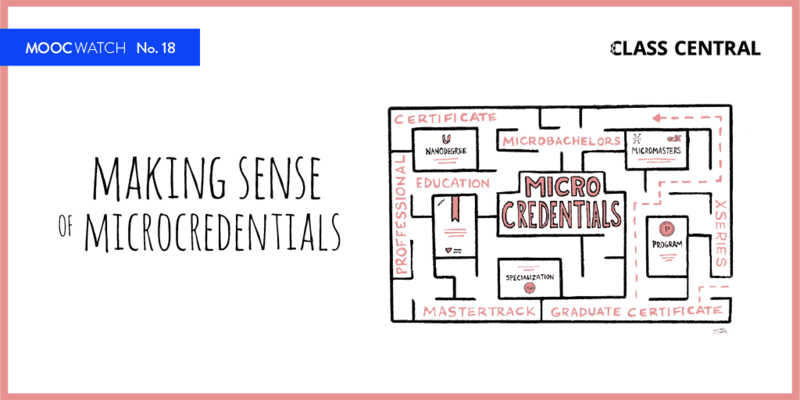 A microcredential is any one of a number of new certifications that covers more than a single course but is less than a full degree. The edX platform was the first to launch a microcredential, the XSeries, in 2013. Udacity and Coursera followed in 2014 with the Nanodegree and the Specialization, respectively. Every MOOC platform now offers at least one type of microcredential, and some platforms offer as many as three different types. 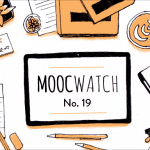 This analysis covers 11 types of microcredentials offered by five MOOC platforms. As microcredentials proliferate, the challenge for learners looking to upskill (and for the companies that might hire those learners) is to figure out which microcredential option will help them accomplish their goals, both in the online classroom and ultimately in the job market. Looking at published data about the cost, time, effort required to complete these different microcredentials, it is clear that there is very little standardization among them. Microcredentials can be seen as part of a trend toward modularity and stackability in higher education, the idea being that each little piece of an education can be consumed on its own or can be aggregated with other pieces up to something larger. Each course is made of units, each unit is made of lessons; courses can stack up to Specializations or XSeries; these can stack up to partial degrees such as MicroMasters, or all the way up to full degrees (though only some microcredentials are structured as pieces of degrees). More workers and employers will find value in credentials that are smaller than degrees, especially as they begin to coalesce around models with recognizable features, structures, and meaning. It remains to be seen exactly what role microcredentials will play in higher education and workforce development. However, it is probably safe to assume that more workers and employers will find value in credentials that are smaller than degrees, especially as they begin to coalesce around models with recognizable features, structures, and meaning. 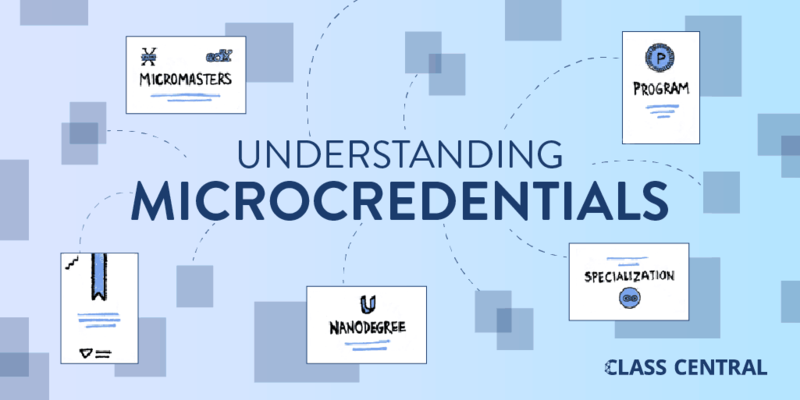 To the extent that microcredential providers can establish internal consistency within the various types of microcredentials they offer, they will help both learners and employers to find value in these new certifications. I gathered data on as many MOOC-based microcredentials as I could find, more than 450 in all. Generally speaking, the microcredentials on the market today share many features in common. Typically, they are structured as a series of courses, requiring less than a year (usually around 6 months) to complete, with prices ranging from a few hundred to a few thousand dollars. Often, learners can choose to pay for each course individually, or can pay upfront for the full series at a slight discount. (Coursera’s Specializations and a few Udacity Nanodegrees are exceptions to this rule and are offered under a monthly subscription model.) Most (though not all) microcredentials cover work-relevant subjects such as business, computer science, and data analysis. The table above shows the average prices, durations, and weekly minimum effort for the various microcredential types, as well as the number of observations of each credential included in the analysis. On average, Coursera Specializations are the least expensive type of MOOC-based microcredential, closely followed by edX XSeries. Graduate Certificates and Graduate Diplomas offered by the FutureLearn platform are more expensive than any other type of credential, two orders of magnitude more expensive on average than the least expensive microcredentials. Kadenze Programs are on average the shortest microcredential programs, though eight of the eleven types of microcredentials in the analysis have an average completion time of six months or under. It is important to note that these completion time estimates do not reflect actual student experiences. Rather, they are based on information published by each platform regarding the minimum amount of time it would take to complete the microcredential. Some microcredentials, though not all, offer some opportunity to earn credit towards a degree program. Typically, university credit is awarded if and only if a student goes on to enroll in the particular degree program connected with the microcredential. This is the case with both the MasterTrack microcredentials from Coursera and the MicroMasters microcredentials from edX. Other credit schemes also exist, in which learners with particular backgrounds or affiliations can earn university or continuing education credit. Below is a summary of the microcredentials that offer some possibility of earning university credit. Looking beyond averages and aggregates, there is as much if not more variability within each type of microcredential as across types of microcredential. The table below shows the ranges of price, months to complete (minimum), and level of effort per week for each microcredential type. These ranges demonstrate the vast differences between even microcredentials that carry the same brand name. While all employers understand that a master’s degree signifies a higher level of preparation than a bachelor’s degree, it is impossible to say whether a Udacity Nanodegree prepares a person more or better than an edX Professional Certificate or a Coursera Specialization. Unlike degrees, which employ terminology that is used by multiple universities, signify a similar level of rigor (or at least a comparable number of credit hours), and are accredited by third party organizations, microcredentials are trademarked and platform-specific, and often very different in terms of the time it takes to complete them, level of difficulty, and price. They are not accredited, recognized, or evaluated by third party organizations (except insofar as they pertain to university degree programs). This variability and lack of standardization poses a problem for both learners and employers, as it makes it difficult to compare the various microcredentials. While all employers understand that a master’s degree signifies a higher level of preparation than a bachelor’s degree, it is impossible to say whether a Udacity Nanodegree prepares a person more or better than an edX Professional Certificate or a Coursera Specialization. 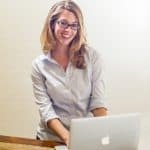 Looking at a single subject, there is little consistency across the different types of microcredentials when it comes to length, price, and level of effort required. Take, for example, a subject such as business analysis. 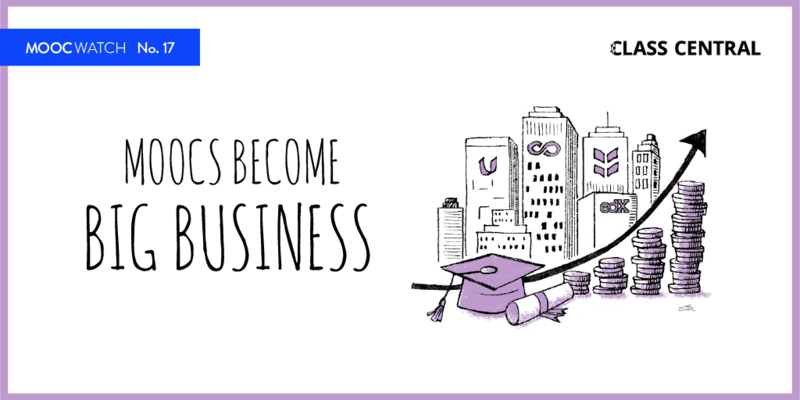 The Business Analyst Nanodegree on Udacity costs $600 and is estimated to take three months of study at 10 hours per week; the Business Analytics Specialization on Coursera (from the University of Pennsylvania) contains 5 courses of 4 weeks each, costs $79, and is estimated to require 1-6 hours of effort per week; and the Business and Data Analysis Skills Professional Certificate on edX (from Fullbridge University) contains just one 4-week course, costs $60, and is estimated to require 1-2 hours of effort per week. Meanwhile, for a different subject – take Artificial Intelligence, for example – the comparison among these three microcredential types looks entirely different. The AI Nanodegree from Udacity consists of one 3-month term, costs $799, and requires 12-15 hours per week; the Deep Learning Specialization on Coursera contains 5 courses and takes about four months to complete, costs $49 per month, and requires 3-6 hours per week; while the Microsoft Professional Program in Artificial Intelligence on edX contains 9 six-week courses plus a final project, costs $990, and requires 8-16 hours per week. These differences are summarized below. Although course content was outside the scope of this analysis, it is also worth noting that there may be significant differences in the content that is delivered in these programs, even those with very similar titles. Without a detailed understanding of the options, how would an employer interpret or compare microcredentials when they come up on a resume? With so much variability, how would a prospective learner choose among the various options? Furthermore, without a detailed understanding of these options, how would an employer interpret or compare these microcredentials when they come up on a resume? The various brand names of these microcredentials offer no help, as the Nanodegree appears to be the most rigorous microcredential for Business Analysis, while the Professional Certificate from edX appears to be the most rigorous program for learning AI. In summary, this analysis points to a lack of consistency among microcredentials, making it difficult to compare them or interpret their significance, for prospective learners and employers alike. Some of the microcredential listings were incomplete; many of these were excluded from the analysis. Some information, such as time to complete or cost, had to be calculated based on the number of courses and the length of each course. This data was gathered in June 2018. Given the rapid pace of change in this market, these numbers may have changed by the time of publication. As a result, many of the numbers in this article should be taken as estimates for the sake of generalization and comparison. It is important to note that the average duration of these microcredentials as shown here is based on the published minimum times to complete each program and does not reflect actual student experiences. The microcredentials included in this analysis are not necessarily all currently available for study. The difference (and the main issue) is that all those MOOC-offering universities don’t want to offer transferable credit through their MOOC. they only offer credit if you take their own degree, if that. could you give some source material/literature reference on this EU initiative? So many concepts under one roof . We, employers, cannot evaluate all these . So we can or we cannot prefer some credentials . Still credentials must be like AA, BA, MA, Ph D . It can be online or offline or blended. No problem . Plus quality , quality . Please go gto or take courses from only top universities . I recommend only first 100 or so universities in the ranking of US News . Udacity CS courses are a different animal . They are some professional training material for very specialised subjects . Please do not waste your time and money for bad, silly programs . Now go to FREE http://worlduniversity.london online master degrees are provided . Courses are from Harvard, Stanford, Yale, Oxford, Sorbonne, London University, Pricdeton, MIT plus 800 more best universties of the world . MBA in Finance,MBA in Marketing, Artificial Intellegince, Data Science, Economy . All ten courses are listed on your Master degree diploma . Only one in the world free. Hey there, a Masters Degree? How is that possible, that can’t be a legit accredited masters degree?